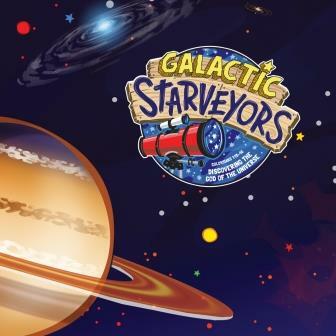 Because the end of the week is nearing, the kids have become a lot more familiar with the choreography and lyrics of our opening song, Galactic Starveyors. 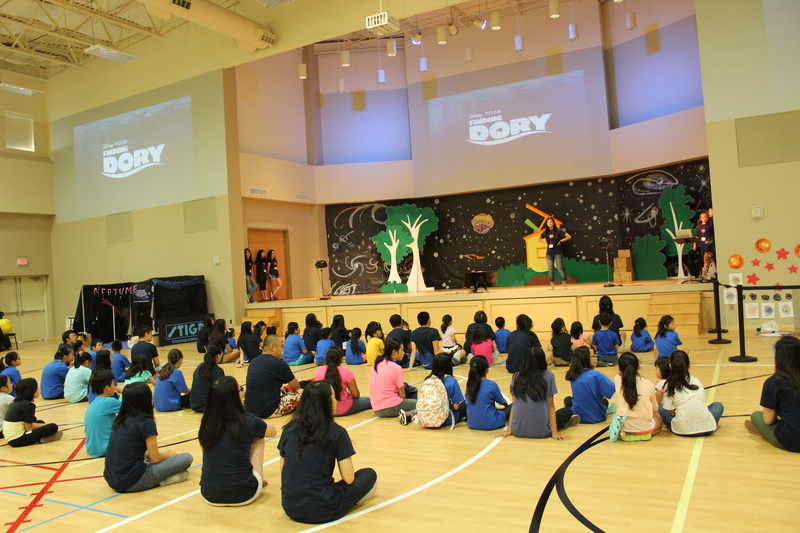 After singing praise, the kids listened to Teacher Camellia use the movie Finding Dory as a metaphor for faith in Jesus Christ. 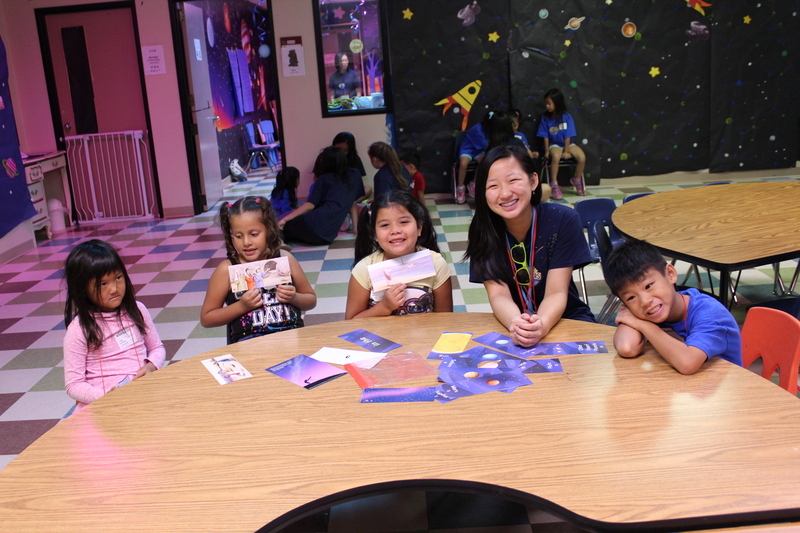 During Huddle, pre-schoolers worked with their helpers to align the planets in order. 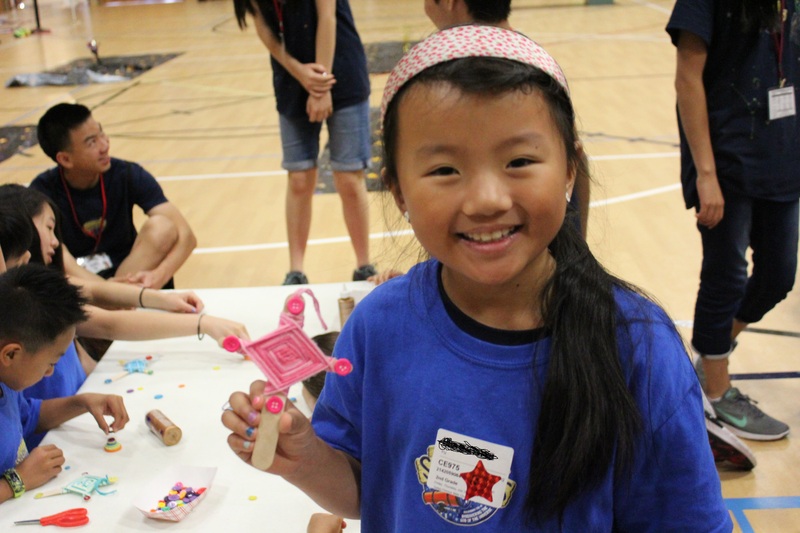 An elementary school camper shows off the cross that she made today using yarn and Popsicle sticks during Crafts. 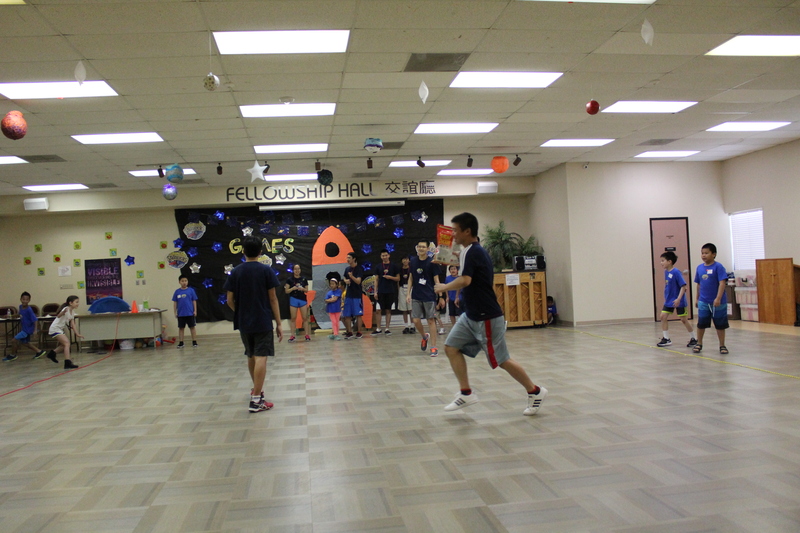 We played Sharks and Minnows during Game Time. 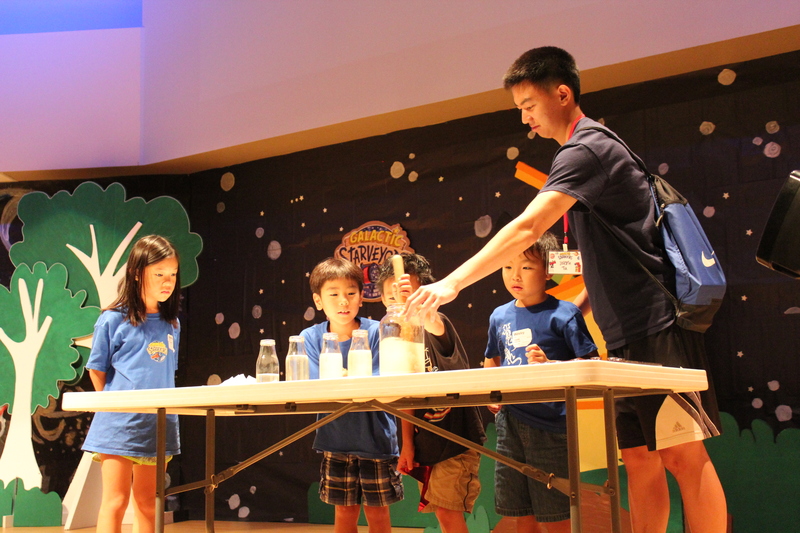 During the gospel presentation before closing, kids participate in a science experiment with Teacher Joseph that represents the cleansing of our sins by Jesus Christ. We will conclude with two shoutouts. 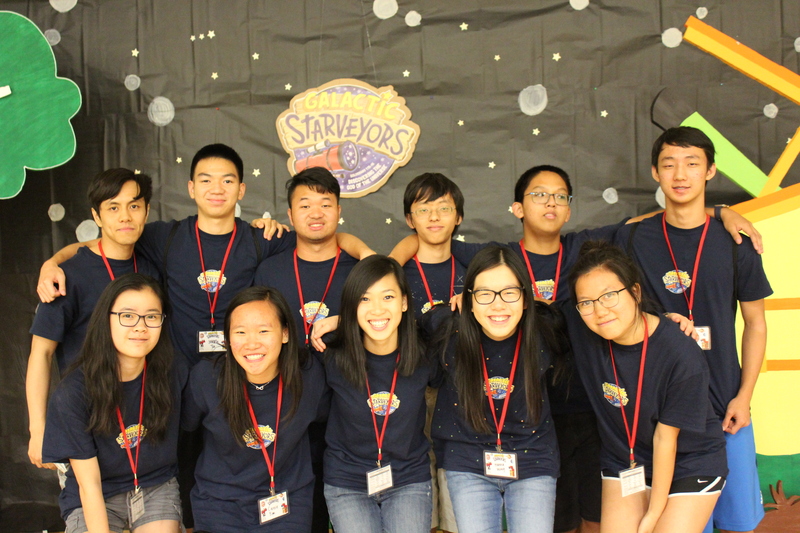 First, thanks so much to our kitchen team, who work behind the scenes to keep the volunteers fed and the camp running smoothly. 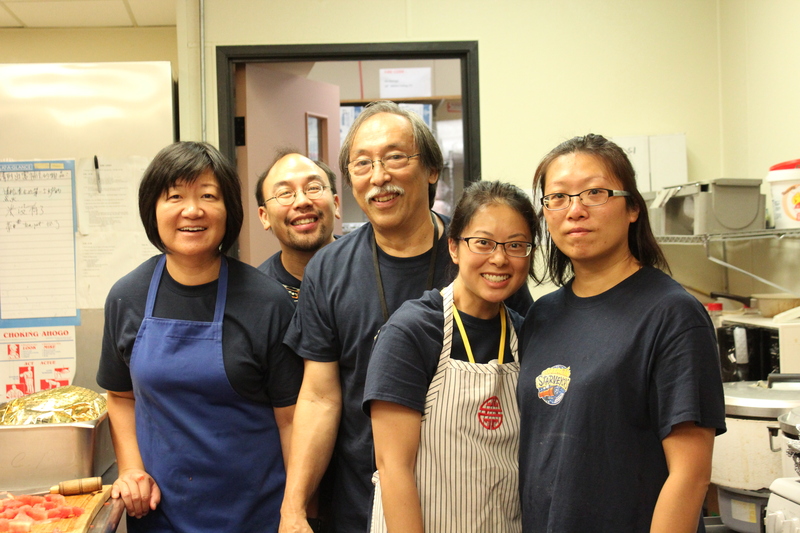 Right to left: Auntie Janet, Uncle Hanh, Uncle Alex, Auntie Queenie and Auntie Erica. 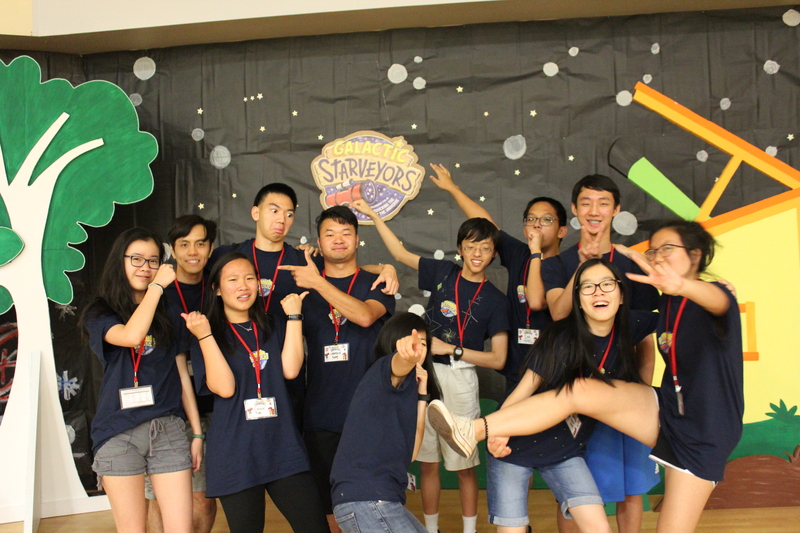 Finally, thanks so much for our wonderful Small Group leaders for guiding our campers into their spiritual journey towards greater love of Christ. Thanks for another great day at camp! This entry was posted in News, Uncategorized on July 20, 2017 by Sherry Cheng.